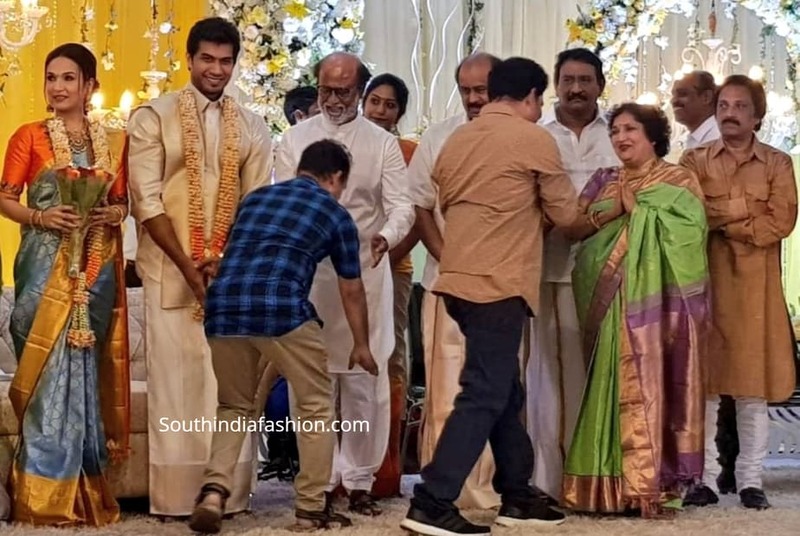 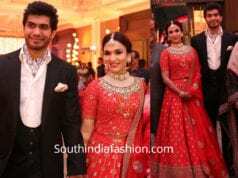 Real Brides Soundarya Rajinikanth and Vishagan Vanangamudi’s pre-wedding reception! 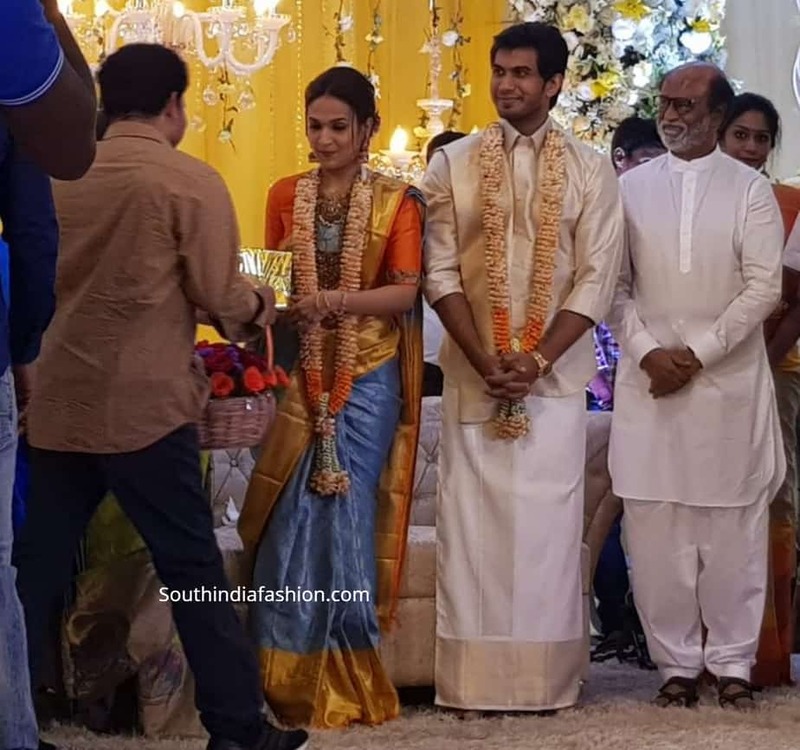 Soundarya Rajinikanth and Vishagan Vanangamudi’s marriage celebrations kicked off with a pre-wedding reception on February 8th. 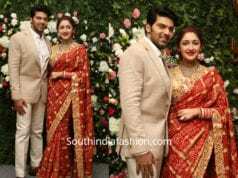 The couple will tie the knot on 11th. 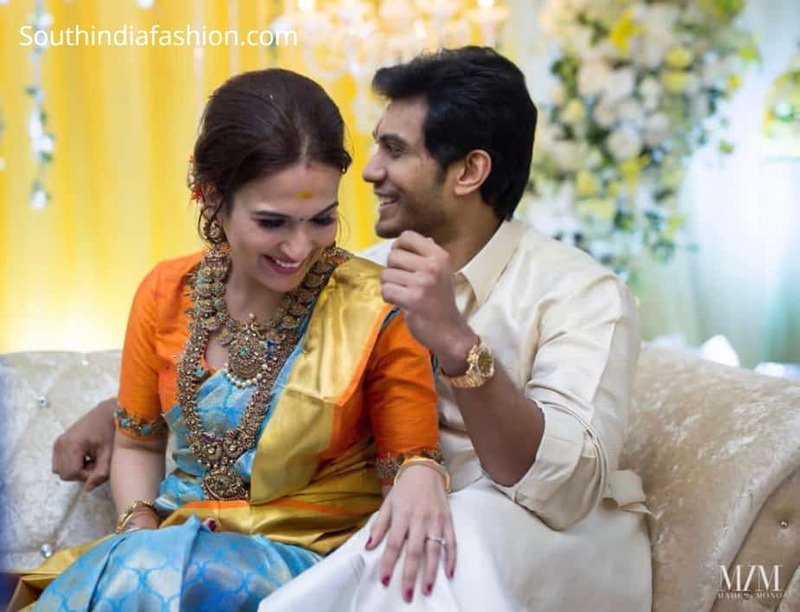 At their pre-wedding reception, Soundarya Rajinikanth looked beautiful in a blue and gold silk saree paired with contrast orange blouse. 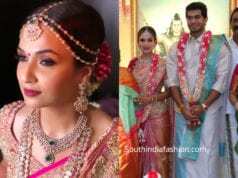 She complemented her look with antique gold jewellery. 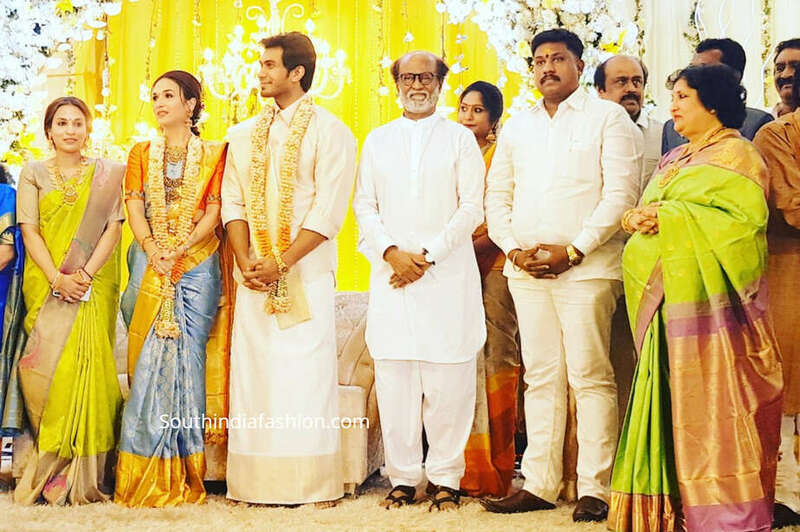 Vishagan donned a white shirt with veshti. 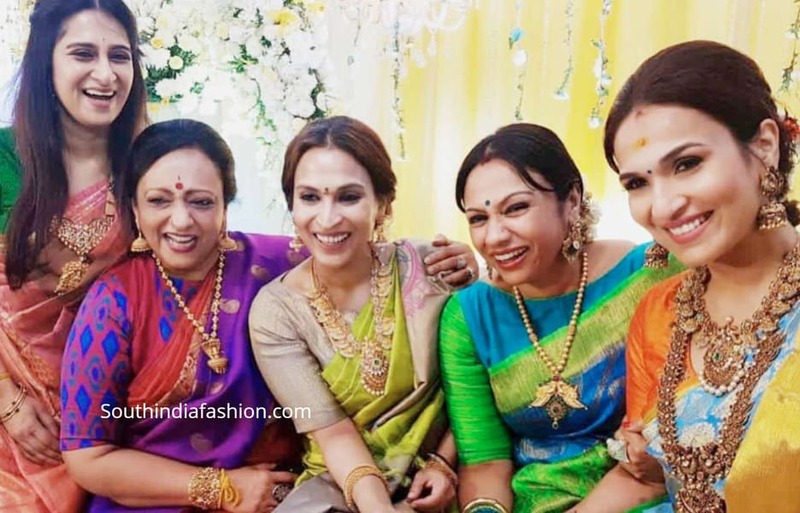 Soundarya’s mother Latha and her sister Aishwarya were seen in green Kanjeevaram silk sarees. 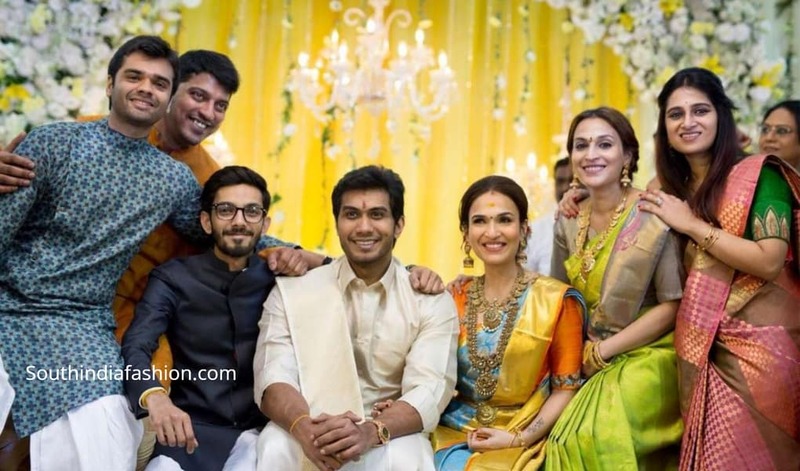 Soundarya Rajinikanth and Vishagan Vanangamudi’s Wedding!